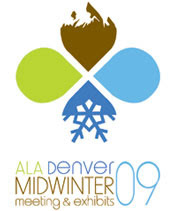 Core competences for librarianship were finally defined at the very recent Midwinter Meeting in Denver, where the ALA Council passed the resolution, and this Tuesday, ALA sent out a press release summarizing the resolution and providing links to the core competences site and a pdf. The document defines the basic knowledge to be possessed by all persons graduating from an ALA-accredited master’s program in library and information studies. Do take a look at the entire core competences doc for all of the details when you get a moment. We all know that people (myself, and probably you included) will share personal information in exchange for a quality experience. We share personal renting and buying habits in exchange for Netflix and Amazon recommendations. We share personal reading habits on GoodReads and LibraryThing to connect with others who share our interests and tastes. We share our credit card numbers with many online vendors in exchange for the convenience of “one-click” ordering. Our choice to disallow customer control of their own information means that their needs for connection and social networking go unmet, which in turn creates opportunities for entrepreneurial companies like Library Elf, GoodReads, and LibraryThing (created by frustrated library lovers, I wonder?) to come in and fill those needs. Which is great, but why aren’t libraries creating and offering these experiences? Of interest to me is $53.5 billion State Fiscal Stabilization Fund (down from the $79 billion originally proposed). This money is being given to state governments to make-up shortfalls in spending on education and government services. I for one will be sending e-mails to my state representatives asking that they continue to fully fund the NJ Knowledge Initiative and provide some of this money for public libraries in New Jersey. (To find your NJ representatives, this is a really handy site: http://www.njleg.state.nj.us/members/legsearch.asp). For complete breakdown of the package and how it impacts libraries, the ALA has set up a very helpful webpage. I look forward to learning more about the specifics of the package and how it can help my library and my community, as well as all libraries. Thank you for coming–we love to share our space and are happy to have you here. As in many libraries (and I suspect in yours), we have a policy here that states: No Food or Drink in the Library. We hate to tell our patrons no, but have no choice—this is a sensible policy as food and drink stain furniture and carpets and destroys library materials. In this age of the ubiquitous Starbucks cup, coffee cop is one of the worst parts of our jobs. We try to enforce the rules fairly, but sometimes we do not see the offense. However, when you approach the public desk with a steaming cup of coffee in your hands, you should expect to be told about the policy. Please do not roll your eyes, sigh, or scowl—as you know, we are on the front-lines and just doing our job. When you follow-up with “I am here for the [Insert meeting name here]”, please understand that is the library equivalent of a celebrity exclaiming ‘Do you know who I am’. It does not change the rule which we are duty bound to enforce fairly. Please keep this in mind when visiting another library—we understand your desire to have coffee while at your meeting. We understand you are careful and are unlikely to spill. We do not want to tell you no. However, we can not make an exception for you. It is unfair. It makes our job harder. Please do not ask. You see, the other patrons do not know who you are. Man oh man was there a lot of twittering going on at ALA midwinter. 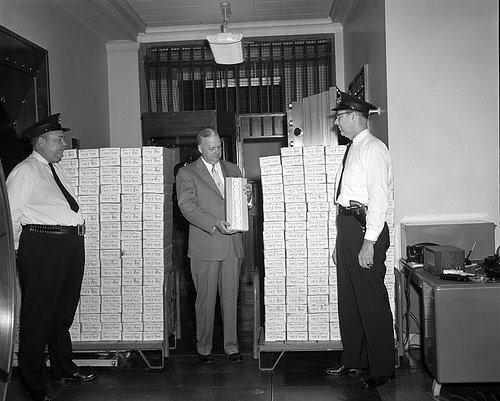 Ain’t it great that so many librarians are using Twitter to shed light on the decision making going on in Committees and let the rest of the organization know — in real time — what’s getting a thumbs up or a thumbs down, who’s arguing for what, and why. As Karen Schneider brilliantly put it, (ALA) “Council may not be interested in transparency, but transparency is interested in Council.” All good. All good. Yes, this really happened. No, I’m not naming names. I can tell you this though: My respect for the committee member that was twitter-slagged remains in tact intact. My respect for the slagger is in the toilet and I’m reaching for the handle. I’m still deciding how (or if) to address what happened. Any suggestions are welcomed.